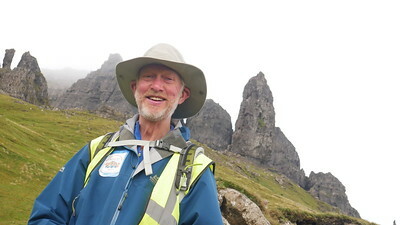 300 miles walked around Skye! 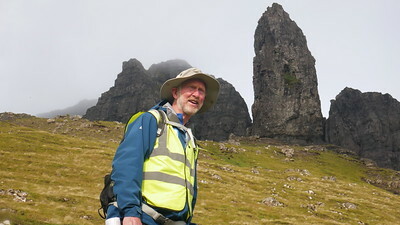 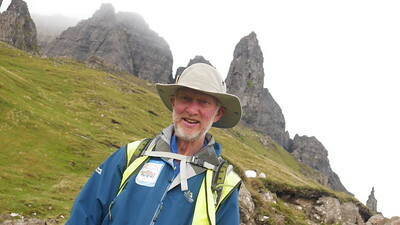 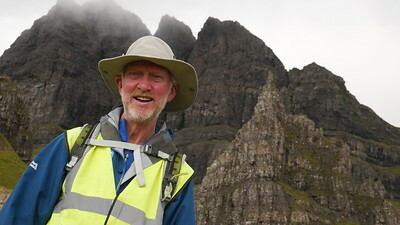 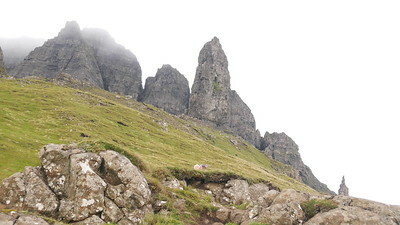 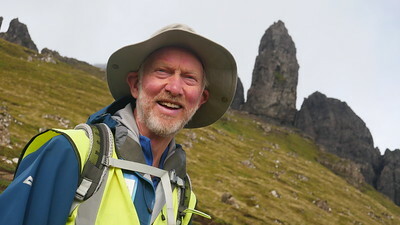 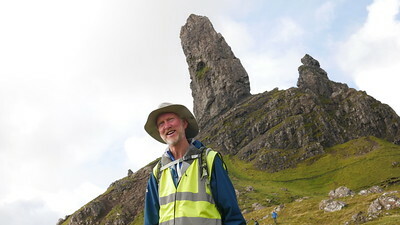 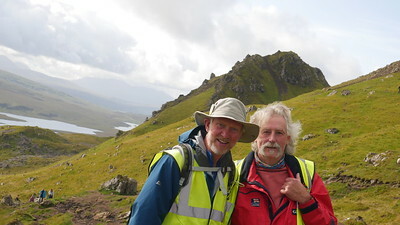 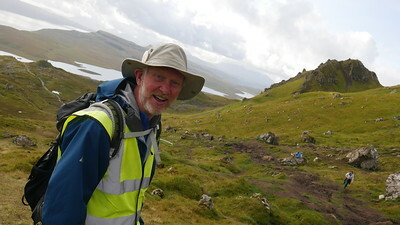 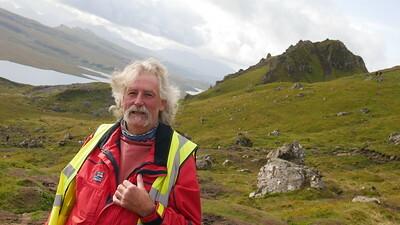 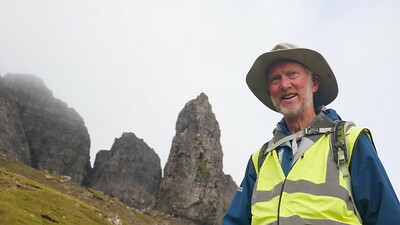 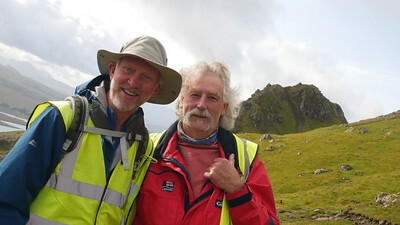 Brian walking The Old Man of Storr with barber of 30 years, David Parker. 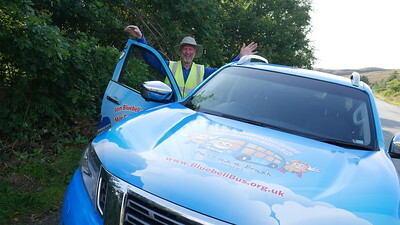 Brian with support vehicle 'Baby Bluebell' our Nissan Navara loaned to the charity from Nissan UK. 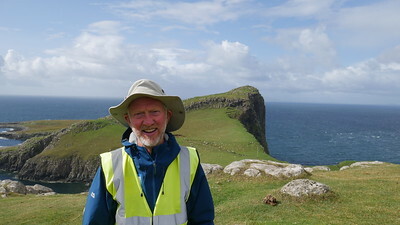 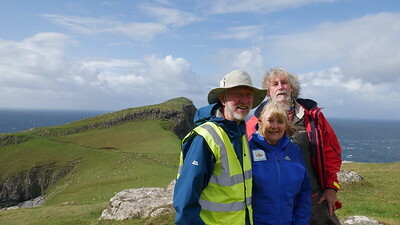 Brian Burnie at Neist Point with wife Cheryl and David Parker, Brians barber for 30 years. 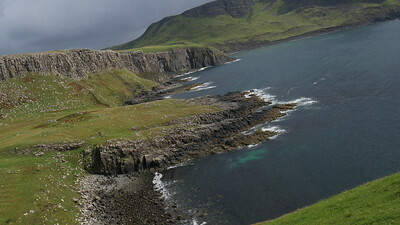 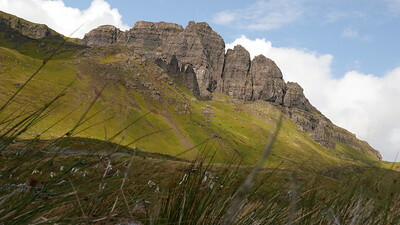 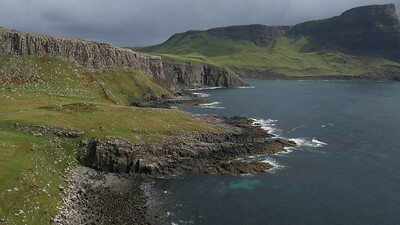 Incredible Isle of Skye with dramatic cliffs and beatiful views.